How close does Trump remain to his foreign businesses? Until last week few people in the U.S. would have heard of Pune; fewer still could have told you where it is. All that changed after an encounter in New York between President-elect Donald Trump and Sagar and Atul Chordia -- two property developers from the Indian city south of Mumbai. They were accompanied by another real estate developer -- Kalpesh Mehta -- from Mumbai. 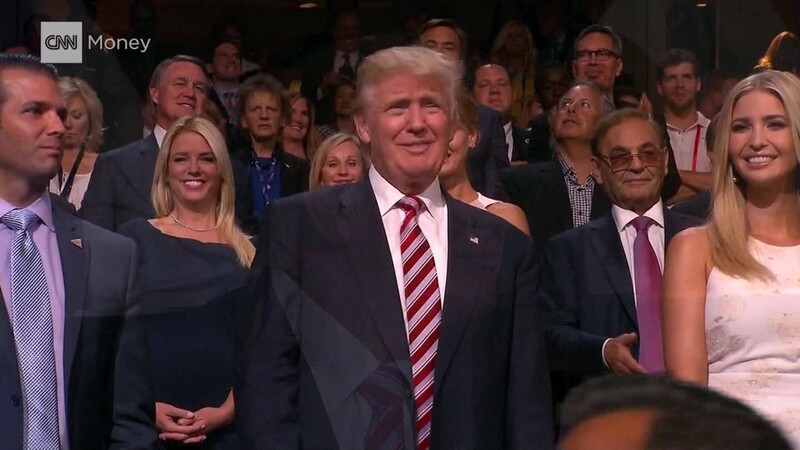 Unverified photos posted on social media show the men posing with Trump. It is not clear what they discussed. The Chordia brothers and Mehta did not respond to questions from CNNMoney. A spokesperson for the Chordias' firm -- Panchshil Realty -- declined to comment. The engagement was nothing more than a "brief passing and exchange of 'hellos,'" said Amanda Miller, vice president of marketing at the Trump Organization on Monday. "No business of any sorts was conducted." Still, the meet raises questions about whether Trump can keep his business interests separate from his duties as president as he prepares to take office in January. So who are the businessmen getting access to the president-elect? The Chordias built the first Trump-branded property in India: Trump Towers Pune, two 23-storey glass buildings in one of the city's upscale neighborhoods. Panchshil Realty describes the Pune development as "upholding unrivaled standards of the Trump brand" on its website. The Chordias were listed among India's 100 richest people by Forbes magazine in 2014. They've built hotels in Pune for global brands such as Hilton Hotels (HLT)and Marriott International, (MAR) and are currently building a Ritz-Carlton in the city. And Mehta's firm -- Tribeca Developers -- claims to be the "exclusive India representative of the Trump Organization." Trump's interests in India already go beyond Pune. Trump Tower Mumbai is being built by another developer -- the Lodha Group -- while real estate firm IREO has inked a deal for a Trump-branded office building in the city of Gurgaon on the outskirts of the capital, New Delhi. 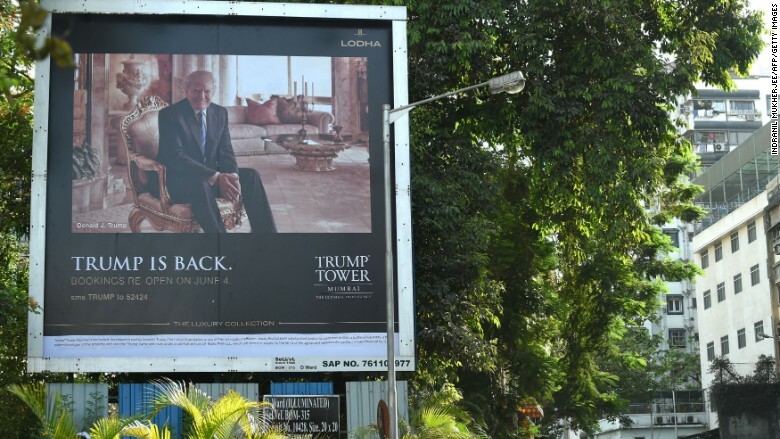 A billboard advertising the Trump Tower Mumbai, being built by local developer Lodha Group. Prashant Bindal, chief sales officer of the Lodha Group, told CNN in March that Trump has lent his name to the Mumbai property and does not own any portion of it. "The association that Trump provides is his power," he added. Bindal said Trump's name meant he could sell apartments for 30% more than they would normally cost. Writing in Indian magazine Outlook earlier this year, Atul Chordia claimed Trump's name had added a similar premium to the Pune development. Ethics experts have already raised concerns about potential conflicts of interest. They say Trump's decision to let his children take full control of the business is not good enough. His children — Ivanka, Eric and Donald Trump Jr. — are also on his presidential transition team, complicating matters further. Photographs posted on Facebook by Sagar Chordia — whose profile now appears to have been deleted — showed him meeting Eric and Ivanka Trump as well. -- Jill Disis contributed to this article.